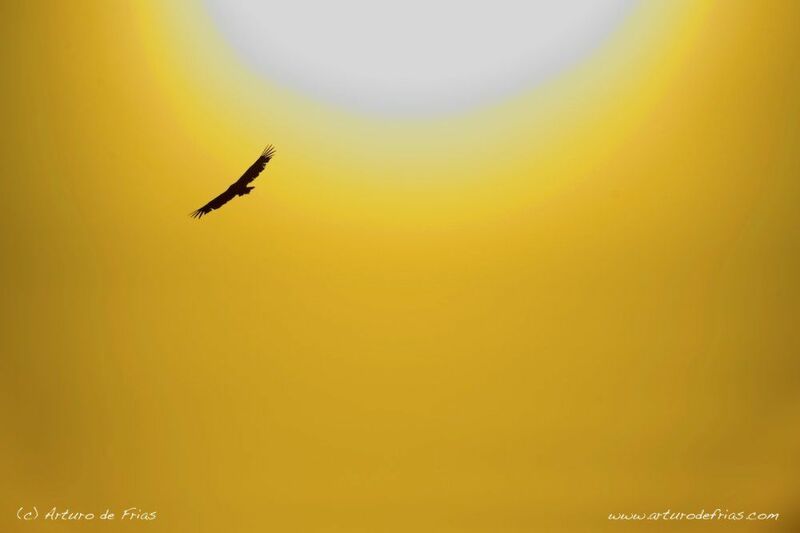 Don't get too close... A Griffon Vulture soars in the afternoon heat, silhouetted against a fiery Spanish summer sunset. The inclusion of part of the solar disk in the image adds a lot of drama, Icarus comes to mind. No te acerques demasiado... Un Buitre Leonado se eleva en un atardecer de verano. La inclusión del disco solar añade dramatismo a la imagen, y recuerda el mito griego de Icaro.